ocal attorney and two-time congressional candidate James H. Gilmartin died Monday at his Saugus ranch from an apparent heart attack. Gilmartin, 70, had a history of heart problems, said his daughter, Tiffany Gilmartin. A 30-year Santa Clarita Valley resident, Gilmartin was born in Brooklyn and left college in his junior year to join the United States Navy, serving as an aviator in the Korean War. He went on to graduate from the University of California, Los Angeles in 1958, then the University of Southern California law school in 1962. 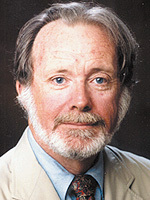 Gilmartin, a Democrat, challenged U.S. Rep. Howard "Buck" McKeon for his congressional seat when McKeon was first elected in 1992 and opposed him again in 1994. "He was so determined to run (for office)," said Joyce Carson, who worked as a volunteer on Gilmartin's 1992 congressional campaign. She recalled his having health problems even then  and a will to run despite being the Democratic underdog in a largely Republican community. "We knew that McKeon was going to win but (Gilmartin) was such a hard worker," she said. "He was a leader who gave of himself and stood up for causes Democrats believe in like health, education and taking care of one another." A fixture around town in his Navy baseball cap and colorful windbreaker, Gilmartin recently retired from his Santa Clarita law practice and was honored by the California State Bar Association for his pro-bono service to victims of the 1994 earthquake. "I know he helped people who could not afford an attorney," Carson said. "He was there for the little guy." Local Democratic activist Rick Lott, Gilmartin's 1994 campaign manager, remembered Gilmartin as a man of virtue who inspired him to make his own bid for state Senate in 2002. "He helped me gather the courage to run for public office," Lott said. "He taught me that a good candidate can come from any walk of life, that his character speaks for more than his background." Lott saw Gilmartin as a brave patriot who was willing to die for his country. "He told me that (during the war) he carried an atomic bomb on his plane when he was off the coast of China. That was his mission, to cruise the ocean in case they should ever start to attack," Lott said. "These pilots had calculated that if they ever dropped the bomb, they would not have time to escape. He was willing to make the sacrifice, to answer the call to duty." Gilmartin had undergone a heart bypass in 1992, and then another surgical cardiac procedure last December, daughter Tiffany said. At the time of his death, Tiffany and her mother, Maureen, were on the East Coast caring for Gilmartin's daughter Kathy, who is undergoing chemotherapy. "He had been doing so well, he had the energy of a 19-year-old," Tiffany said. "It was a sucker punch. We were so focused on my sister. I don't think anyone expected this." Gilmartin is survived by his wife of 32 years, Maureen; children Tiffany, Peggy James III, Kathy and Shawn; and nine grandchildren. He is predeceased by another daughter, Elizabeth. Services will be held at 10 a.m. Saturday at Eternal Valley Memorial Park. In lieu of flowers, the family requests donations be made to City of Hope in Duarte.